From missing emails to mysterious investments, his deep history of secrecy. Presidential candidates try as best they can to control their public image. 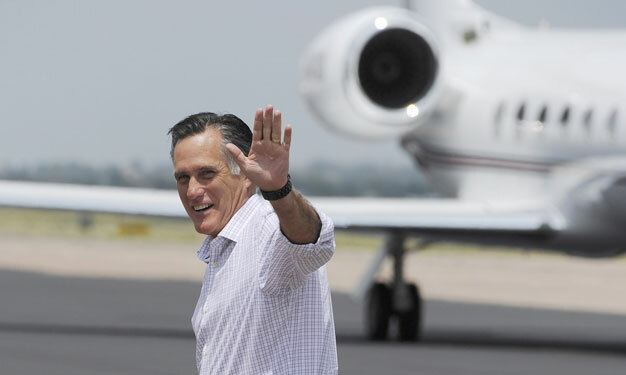 But by modern standards, Mitt Romney has taken his quest for secrecy to extraordinary lengths. Here’s all there is to know about what we don’t know about Romney. Reporters looking for emails and other records from Romney’s tenure as Massachusetts governor are out of luck. The Romney administration did turn over to state archivists hundreds of boxes of records, including memos, emails, and other communications among state agencies and cabinet members. 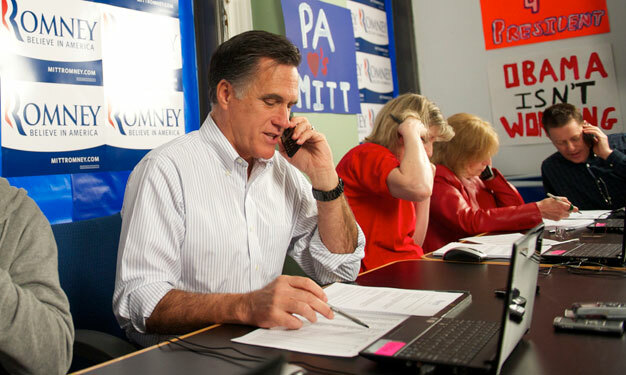 However, the boxes containing those records were hand-picked and given over voluntarily by Romney’s staff. It stands to reason that any embarrassing or revealing information—say, internal planning or deliberations about Romney’s universal health care legislation—did not make it into the Romney administration’s record dump. Pam Wilmot, the director of Common Cause Massachusetts, the Bay State affiliate of the good-government lobbying group, says no previous administration went to the same lengths as Romney’s to keep its communications secret from reporters and the public. “In retrospect, there does seem to be a substantial difference between [Romney’s] administration and other administrations on transparency,” Wilmot says. Mitt Romney might not see anything wrong with putting his money into offshore investment holdings to avoid US taxes, but he hasn’t been especially keen on letting the public know how much he’s done it. According to a recent story by the Associated Press, Romney failed to include more than 20 investment holdings on his federal financial disclosure reports. Of those, at least seven were in foreign countries. The only reason the public knows about these financial instruments now is that Romney, under duress, finally released his 2010 tax returns, which showed the existence of dozens of investments, many of which were never included on his state or federal disclosure forms. Among them was Sankaty High Yield Asset Investors Ltd., which is based in Bermuda, a notorious tax haven. Romney used Sankaty, which he owned, as his partnership stake in many Bain Capital deals in the late 1990s. Sankaty was involved in Bain’s takeover of Domino’s Pizza and also controlled 50,000 shares of Global-Tech Appliances, the Chinese appliance firm that profited handsomely from the outsourcing of American jobs. Romney never listed his ownership of Sankaty on Massachusetts disclosure forms when he ran for governor. And then, in 2003, Romney transferred Sankaty to his wife’s trust the day before he was sworn in as governor of Massachusetts. The transfer did not have to be made public, and it allowed him to keep the investment secret by describing it in disclosure forms as simply part of a blind trust that held “various investments and securities,” according to AP. Romney’s 2010 tax returns show that Sankaty doesn’t have any assets at the moment, but tax experts told AP that it could still be used for future tax benefits with his remaining Bain investments. But he has refused to answer any questions about why he still has the Bermuda company, or what he plans to do with it. The Obama campaign returned $200,000 dollars in February after the New York Times discovered it had been raised by two men whose brother was angling for a presidential pardon that would exonerate him for fraud and drug-related criminal charges. Despite the president’s pledge not to take money from lobbyists, several of his big bundlers are connected to special interests in Washington. Former New Jersey governor Jon Corzine was one of Obama’s biggest bundlers, but he has since come under investigation and the campaign has returned the money. The reason we know all this is that Obama, like every other recent presidential candidate, discloses his bundlers—those well connected elites with the social ties to raise huge sums of money for their preferred candidate while getting around regulatory limits on how much one person can give. Romney runs ads attacking Obama as a “crony capitalist” for supposedly rewarding his most generous campaign contributors, but he will not say who his own bundlers are. 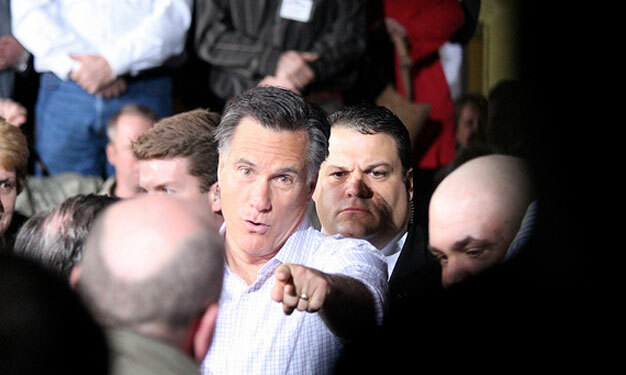 Romney is not required by law to do so—but previous candidates have. George Romney, Mitt’s father, relished the letters he exchanged with his four children. The elder Romney’s archives—nearly 450 boxes of letters, clippings, microfilm, and more held at the University of Michigan—include a trove of letters between him and his children who were at college, on their Mormon missions abroad, or who had moved out of the family home. Romney wanted details on everything: from his children’s academic progress to their living arrangements and even their love lives. 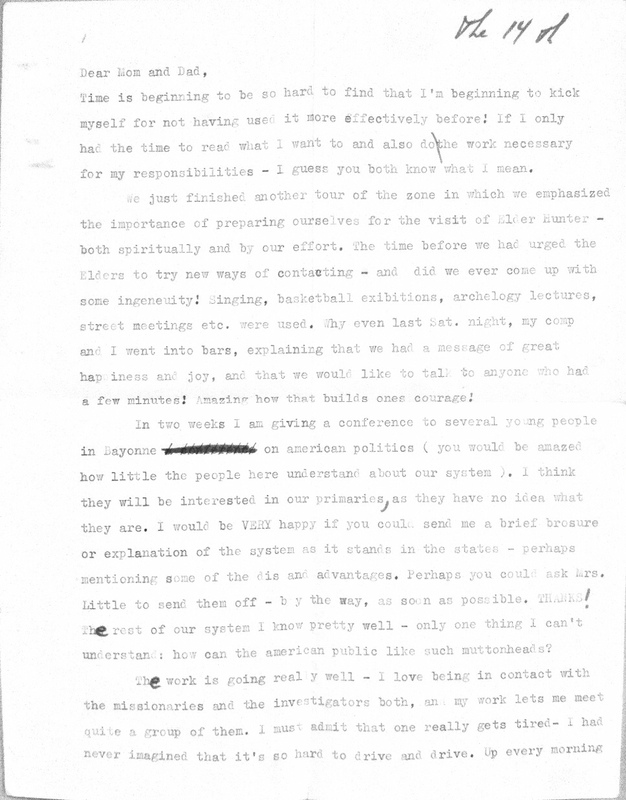 In a November 3, 1959, letter, Romney writes to Scott, then an undergraduate at Stanford University, that he was “always interested in the girls you are dating.” George Romney continues, “Have you looked up that little blonde girl over at church—the Driggs girl?…Are there any good-looking Mormon girls going to Stanford?” In another letter to Scott, Romney chides his son for failing to maintain regular correspondence, a source of annoyance for Scott’s mother, Lenore. Yet all but absent from the Romney archives is correspondence with Mitt. The lone letter of note is one from Mitt to his parents while Mitt worked in France as a missionary. The letter’s cheery tone belies the fact that Mitt had nearly died in a car crash one month earlier near the village of Beaulac. The wife of Duane Anderson, president of the Mormon mission in France and a mentor for Mitt, died from injuries sustained in the crash. 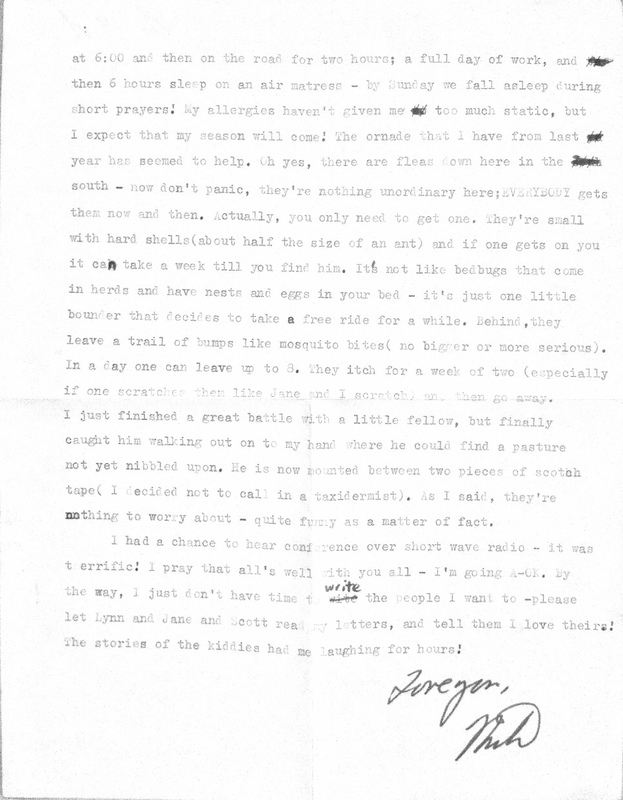 In the letter to his parents, Mitt writes that his missionary work “is going really well.” He ends by urging his parents to share “his letters” with his siblings, suggesting that other letters exist. But those other letters aren’t included in the Romney archives. George Romney’s archives span the years 1939 to 1973. It’s unclear why so few of Mitt Romney’s letters made it into his father’s archive, or who possesses the letters today. What is apparent is that, in the sole public archive that his beloved father wanted the public to remember him by, Mitt is glaringly absent. Partisan attacks may be a risk of Romney releasing more tax returns—but his eschewing transparency raises questions about what the GOP candidate wants to hide. Previous presidential candidates have released multiple years of tax returns, either during the presidential race or prior runs for public office. 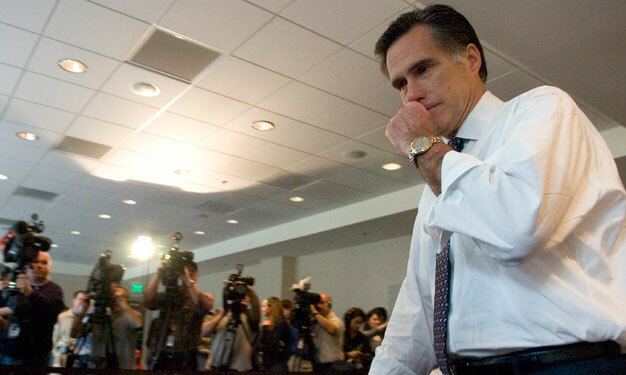 Some financial and tax experts believe Romney may have used a complicated, highly technical tax dodge called a “blocker corporation” to get such a large amount of money into the IRA. Others have suggested that Romney put in some of his partnership shares in Bain Capital itself and valued them at zero because they represented future income—another obscure tax maneuver unavailable to most Americans. It’s impossible to know for sure, because, as with so much else, Romney won’t talk about it.